For over 60 years now, commercial vehicles from Volkswagen have maintained a visual presence on the world’s streets. They are helpers in everyday life, which bring us people goods, services, postal deliveries and occasionally emergency assistance as well. 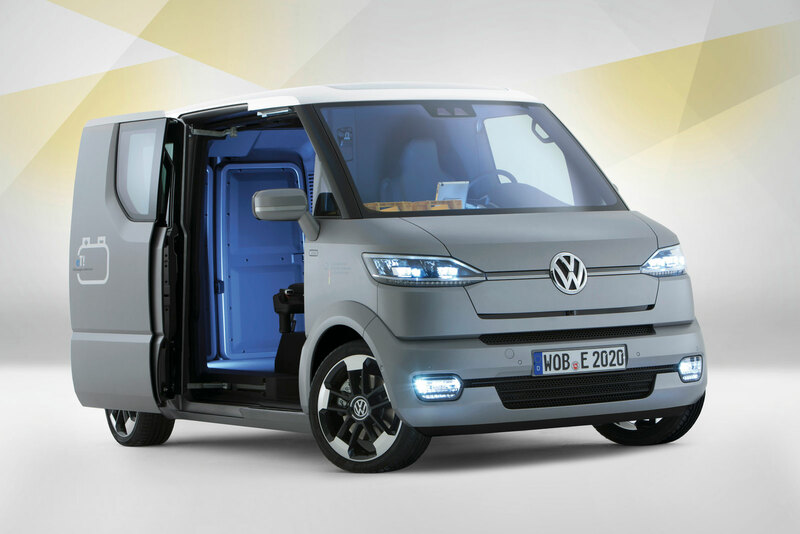 Volkswagen Group Research, which is responsible for the world of tomorrow, together with the German Post Office (‘Deutsche Post AG’), which is one of the largest customers of lightweight commercial vehicles – as well as the University of Art at Braunschweig – formed a think tank on future transport and mobility issues. 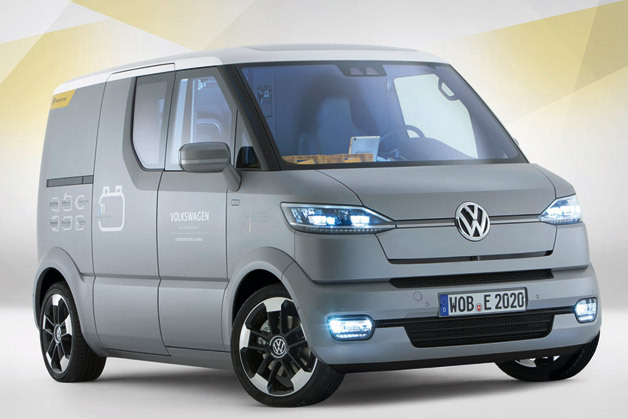 Finally, these research activities led to a completely new vehicle concept for the delivery and logistics field: eT! To make the working world of mail delivery personnel and courier drivers simpler and safer, to optimise the logistics of delivery and to shorten delivery times, eT! can be operated semi-automatically in certain situations. The car can follow the delivery person from house to house (“Follow me”), or the car can return to the delivery person on command (“Come to me”) – driverless! As an alternative, the driver can direct the car’s movements via a ‘drive stick’ from the passenger’s side that also offers a standing seat and quick access to the vehicle. On the passenger’s side – the side that faces the sidewalk and therefore the working area of the delivery person – there is therefore an electrically opening sliding door that opens to 2 different stages; this enables extremely quick entry into the vehicle as well as quick access to the mail parcels. This makes unnecessary walking movements around the vehicle a thing of the past. Variants of this lightweight transport vehicle could be implemented for all conceivable business uses. And these derived concepts are also the focus of research activities. Meanwhile, the eT! 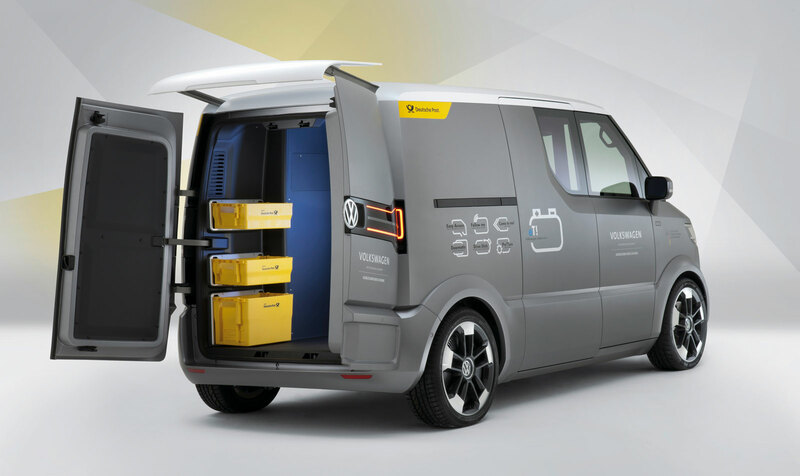 concept shown in a world premiere at the Design Centre of Potsdam was specially designed for delivery of mail shipments of all types. 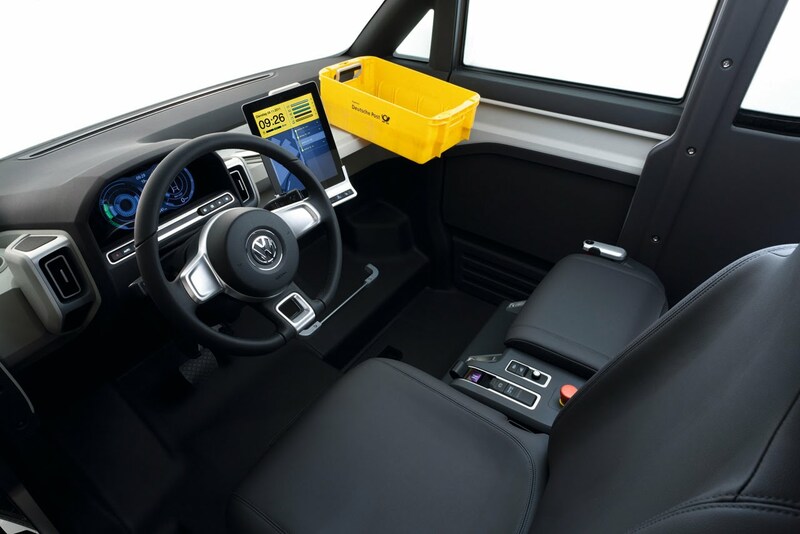 The research vehicle will now be integrated in a driving test study and further analysed.